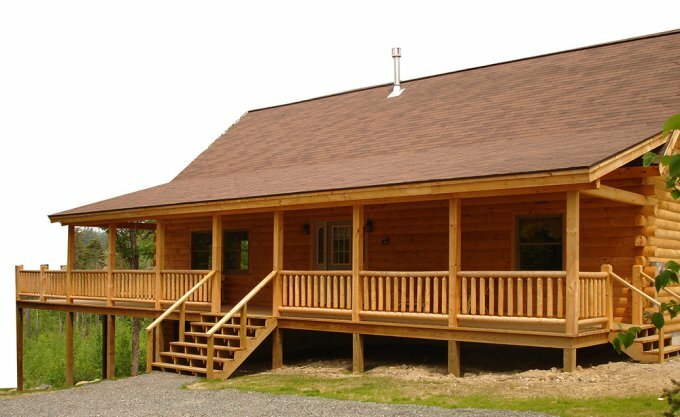 This log cabin home is available in different options to choose, from a build your log cabin with logs only design, to a shell only log home building, to complete log cabins to build. 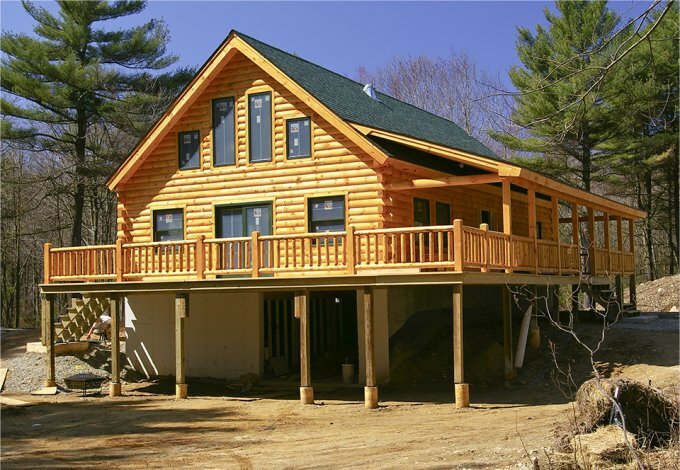 Prices range from $52,400 to $117,700. 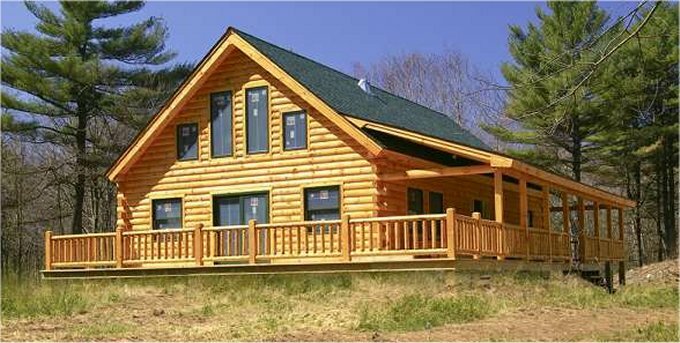 This particular log home is 2,013 square feet in size. The main floor has an open concept floor plan and cathedral ceilings in the great room area.